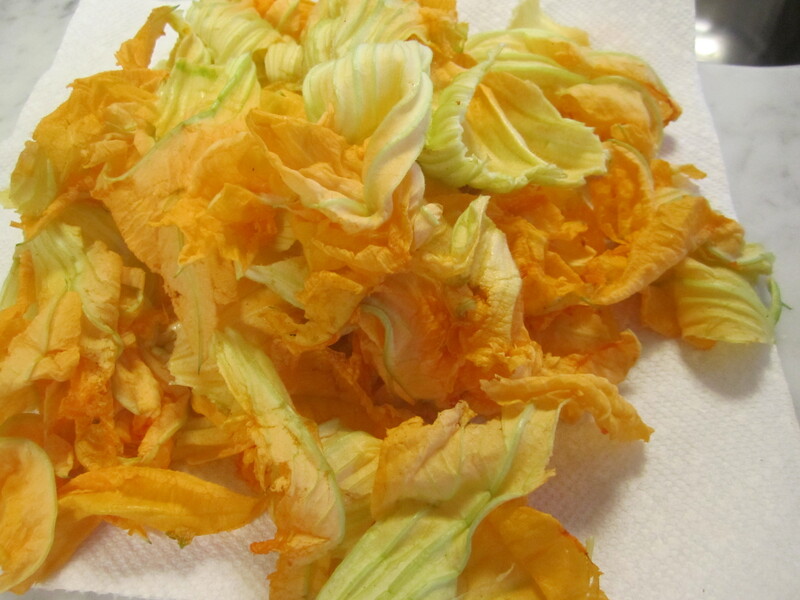 Squash flowers are a fleeting delicacy that emerge with the new summer crops of all the winter squash (acorn, butternut, etc.). 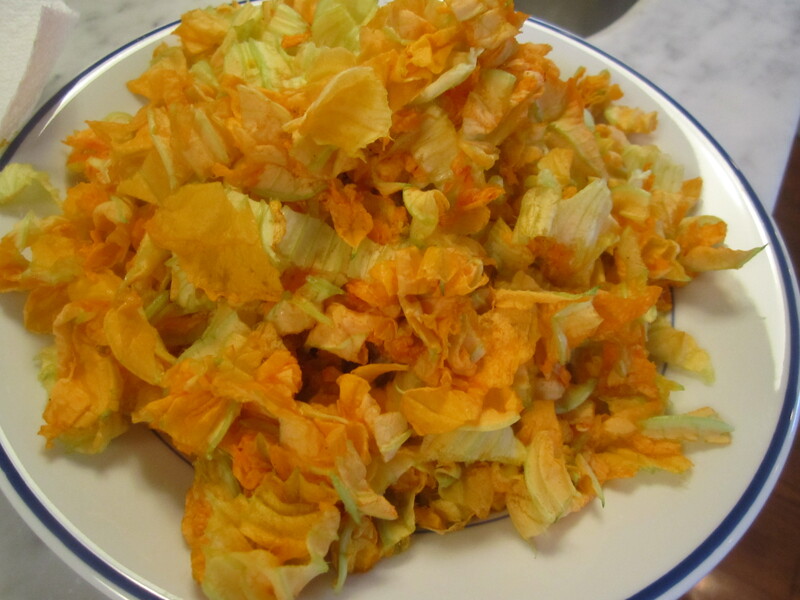 They must be picked and cooked on the same day, or at most, the next day–they wither and die very quickly. For this reason, they’re difficult to find at markets, even farm stands. My mother is visiting from New Jersey and one of her friends who knows how much I love the flowers, has sent me a magnificent bounty of them from her garden. 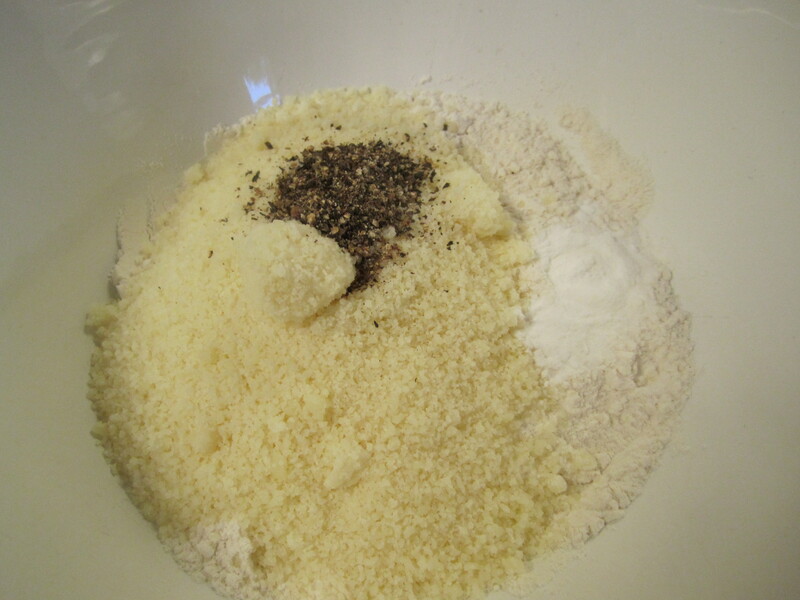 She begins by making a simple pancake-type batter of flour, eggs, baking soda and grated pecorino romano cheese. The flowers are clipped into small pieces with scissors (my mom maintains that they’re too delicate to chop with a knife) and added to the batter. 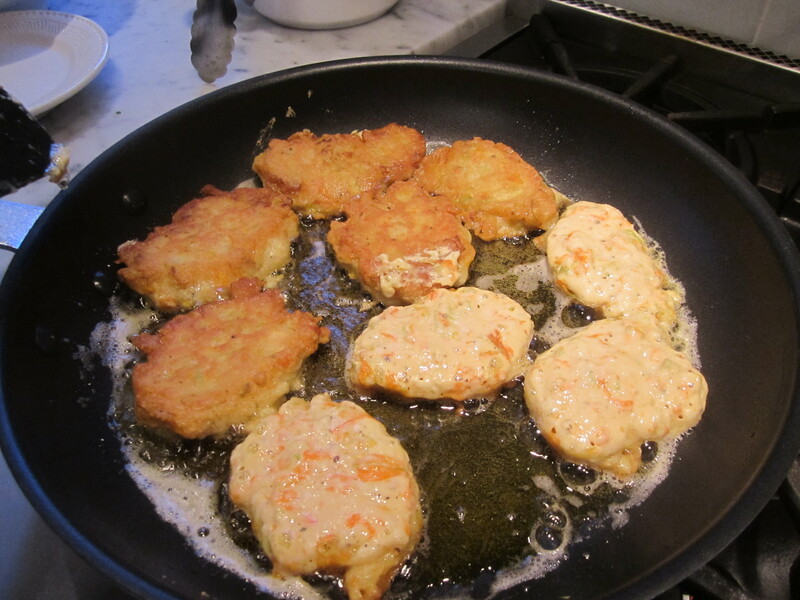 The orange-flecked batter is dropped by the heaping tablespoon into hot extra-virgin olive oil and fried until golden and puffy. Like pancakes, they’re best eaten hot. Open the flowers to reveal the base and heart. Peel away and remove the petals. Discard the base and heart. In a separate bowl, blend dry ingredients, then add beaten eggs. 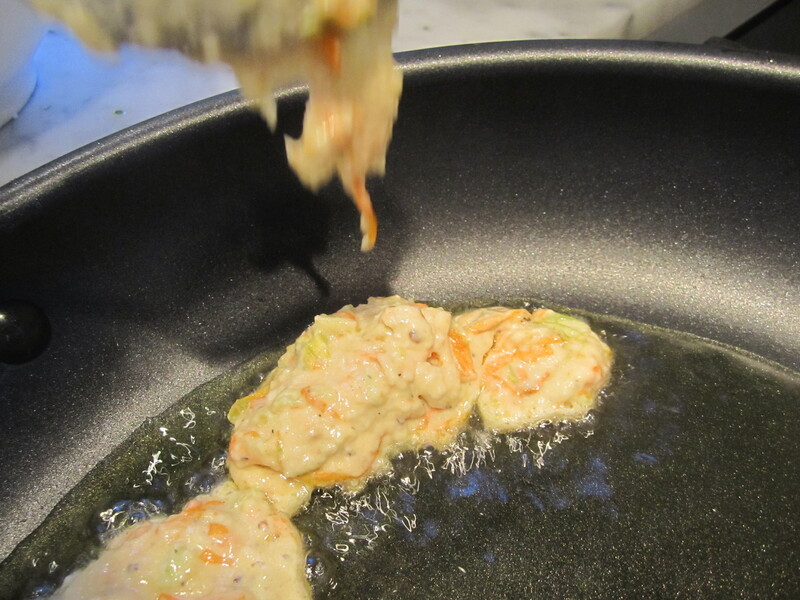 Drop by the heaping tablespoon into hot oil. 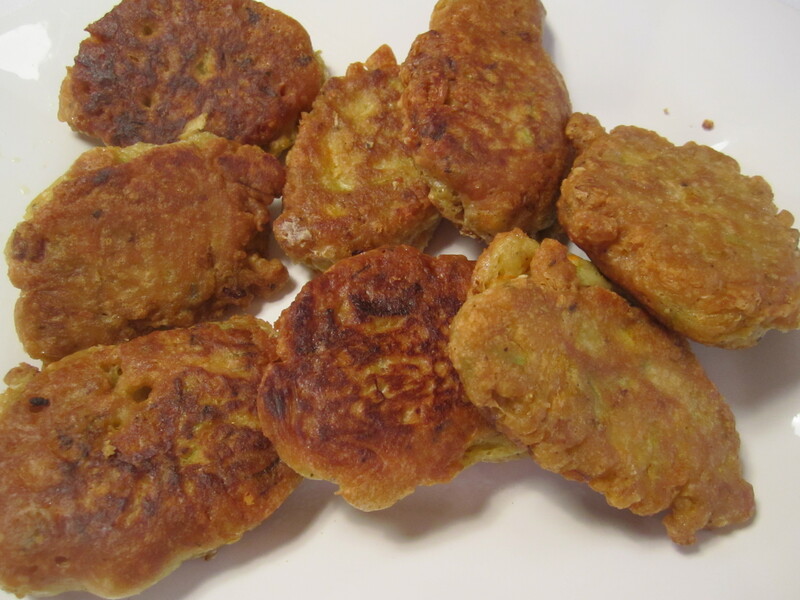 Begin frying on high heat and lower slightly if they become golden too quickly–they should take about 3 – 4 minutes per side to become golden and puffy. 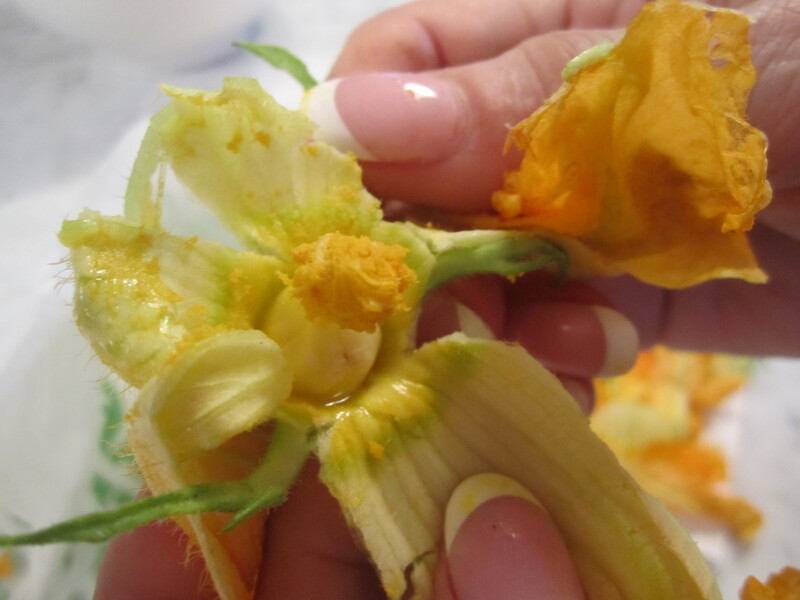 I love squash flowers and I haven’t seen them, nor eaten them since I was a kid and our Italian neighbors used to make them. Lucky you!